The chimney is often the oldest part of the house. It’s certainly one that can see a lot of use, so it’s quite possible for them to suffer from wear and tear. If you think there are problems with your chimney, you’ll want to get masonry from a professional source. A masonry service will be able to determine if there are any problems with the structure. In addition to this, they’ll also be able to take action. A chimney repair company can clear debris from the pipe, and workers can replace worn stone. Our business specializes in chimney cleaning and maintenance, but we can offer help in other areas as well. For instance, we can perform gutter repair and installation. You can also hire us to take care of stucco repair. Whatever it is you need, you can be sure that we'll do a fantastic job. 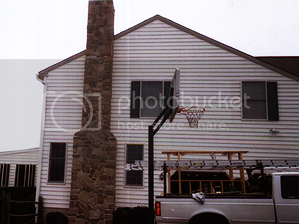 Those who are in need of masonry in Langhorne, PA can find it by contacting us at Tommy's Chimney and Masonry Service.